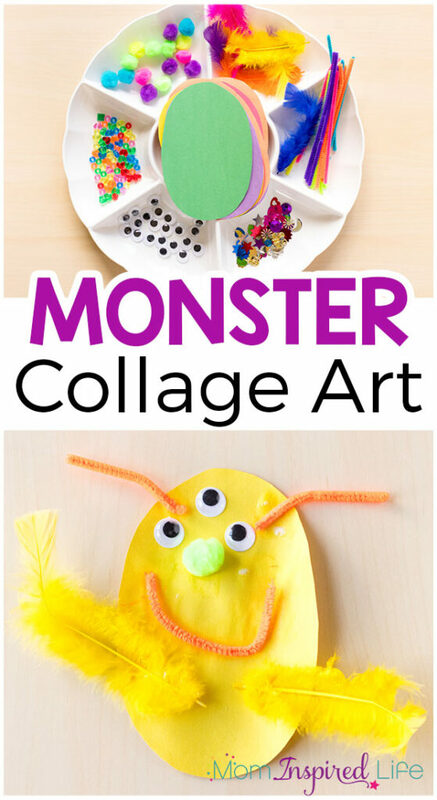 This monster collage activity is super simple to set up and lots of fun. 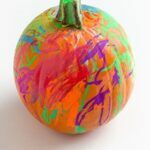 If you are looking for a great craft for fall or Halloween, this is perfect! 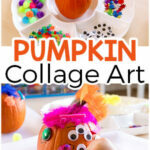 You might also want to check out this super cool pumpkin collage art activity we did on real pumpkins! Our absolute favorite art technique is collaging. My kids are always excited to do a collage art activity and they often come back to the activity several times over the next few days. So it is definitely not something they just do once and are over it. Also, the entire time they are working on their collage, they are developing fine motor skills. Squeezing the glue bottle and handling very small pieces are both great for developing the small hand muscles needed for writing and other life skills. 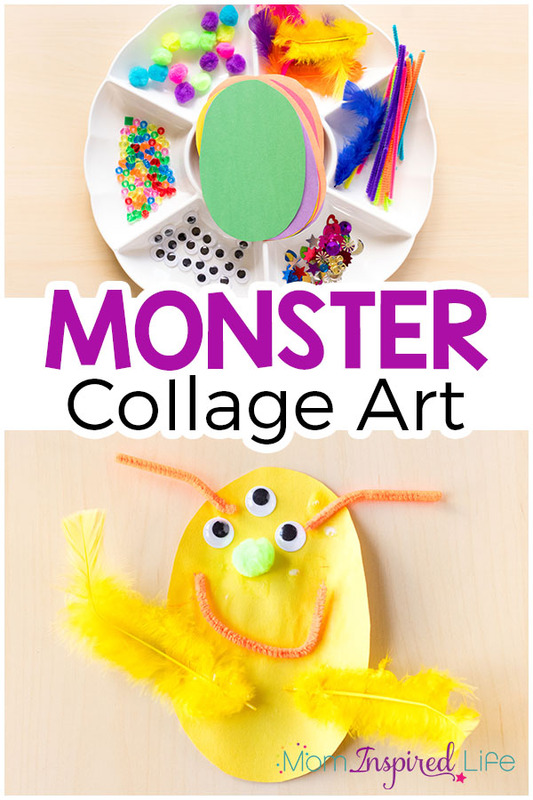 What I love most about this monster collage art activity or any other collage activity we’ve done is that it is totally open-ended. Kids are free to do whatever they want with the supplies. 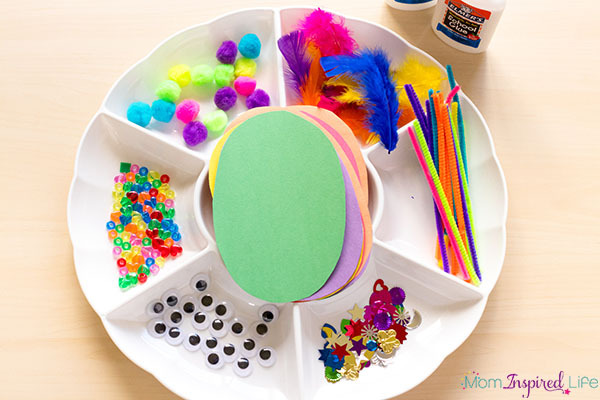 I just set up an invitation to create and say something like, “What if we used these supplies to make a monster?” Then my kids go crazy making their own collage art project. They never tire of doing this either. Many of the supplies stay the same with each collage art activity we do, but they find new ways to use them each and every time. I love seeing the ways my kids use the same supplies to create vastly different artwork. 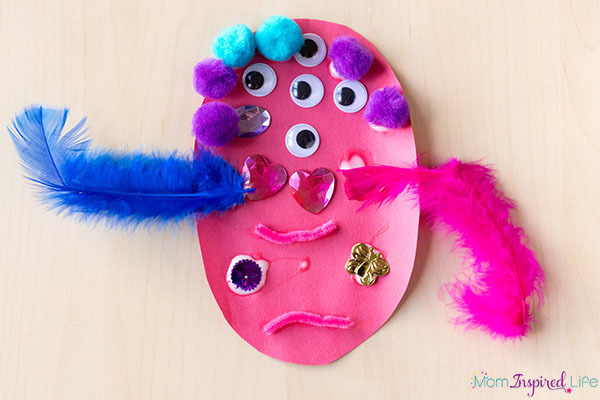 Each child is able to create a monster collage that reflects their own personality and creativity. I just love that! My daughter used lots of supplies. She especially loves anything sparkly and always wants to use gems. Even though I didn’t put them out for this collage activity, she asked if I could get them. She just went with the flow – placing items wherever she wanted with very little though to how the final product would look. She just goes with the flow. My son, on the other hand, used very few supplies. He planned out what he was going to do in advance and he focused on making something that looked very similar to what he imagined from the beginning. Both of them thoroughly enjoyed the process. They just experienced it in very different ways. This is especially helpful in a classroom environment where children have different learning styles. 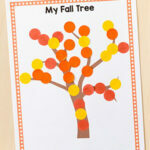 An activity like this allows each child to express themselves in their own unique way. 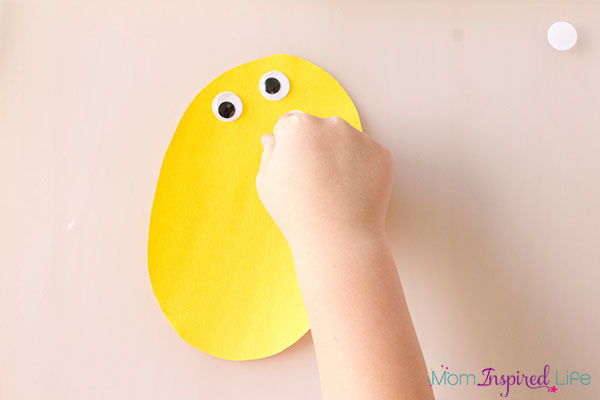 I cut different colored construction paper in oval shapes, but you can do any shape you want. 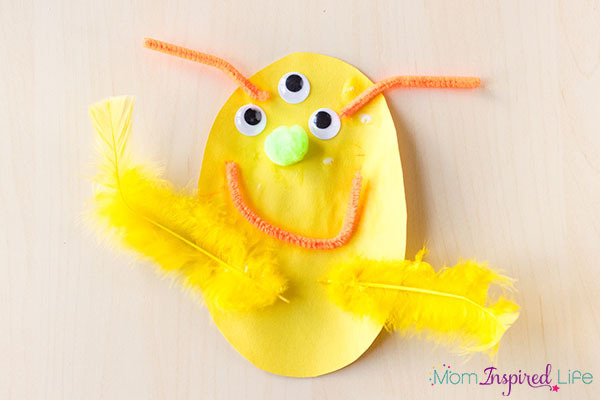 You could also just have the kids cut out a funny shape or blob themselves. 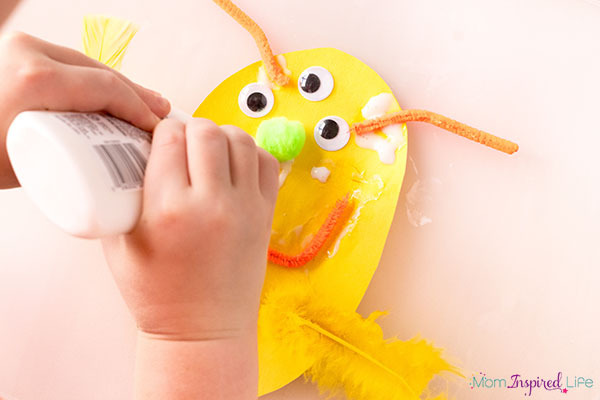 Invite the kids to glue the craft supplies to the paper. That is all! Super easy to set up! 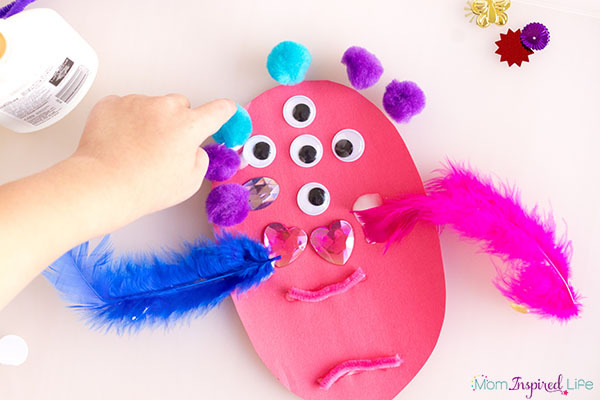 I hope your kids enjoy this monster collage activity as much as my kids do! 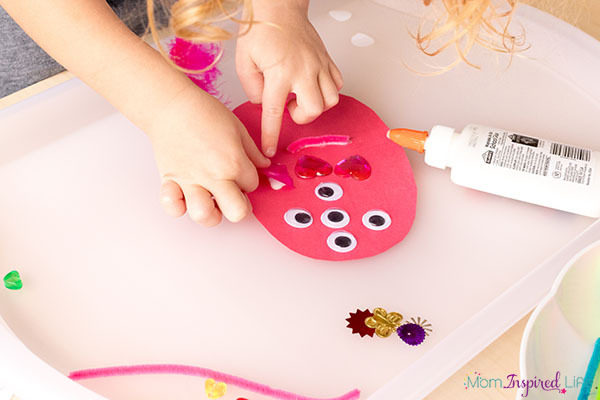 Here are some more silly monster activity ideas! Or explore monster activities on Pinterest.